Reach Haridwar and transfer to hotel. On arrival at Haridwar check-in at hotel. After fresh up change Visit Mansa Devi temple & evening participate in Ganga Aarti at Har Ki Peri. Overnight stay at hotel. 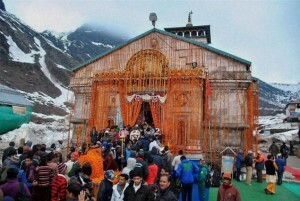 Optional- If guest decide to Trek to Kedarnath , stay can be booked at Kedarnath also. Morning after breakfast visit Rishikesh Sightseeing i.e. Laxman Jhula, Ram Jhula, Tapovan Ashram, and many other interesting point.Afternoon check out from the hotel and depart for Haridwar by surface approx. 30 kms. On arrival drop at Railway station for onward journey.